It started when I walked by a campfire. Children (I'm assuming) full of imagination built a firepit on their lawn. There was a group of fist-sized rocks laid out in a circle about a foot in diameter. In the middle, they had placed twigs piled up on each other and topped it off with a little bit of tinder. I pictured them pretending they were camping, going on adventures and roasting s'mores. I flashed back to our own backyard to when my kids were younger and the games they would play. Later in the day, Sam’s (the “baby” of our bunch) 5th-grade promotion ceremony photos come up in my memory feed. Today that kid is a high school junior. I first saw Toy Story in the theater 22 years ago while I was greatly pregnant with Mitchel and still battling “morning" sickness. Just as the movie ended, a wave of nausea overcame me. Let’s just say I was thankful for the strategically placed trash can. My point though is about the memory imprint this movie made on me from its beginning. Little did I know then how it, the sequels and the merch would play such a large and significant part of our lives for so many years. I feel like Woody, Buzz and the gang are extended family. I still do, except they are the family that moved away, that I don't get to see anymore. I miss them. I miss what they represent. I miss the boys carrying them around wherever we went. I miss them in our pictures. I miss the toys. I miss the Halloween costumes. One year we had a Jessie, Woody and Buzz. It warmed my heart as much as I think it did the kids'. 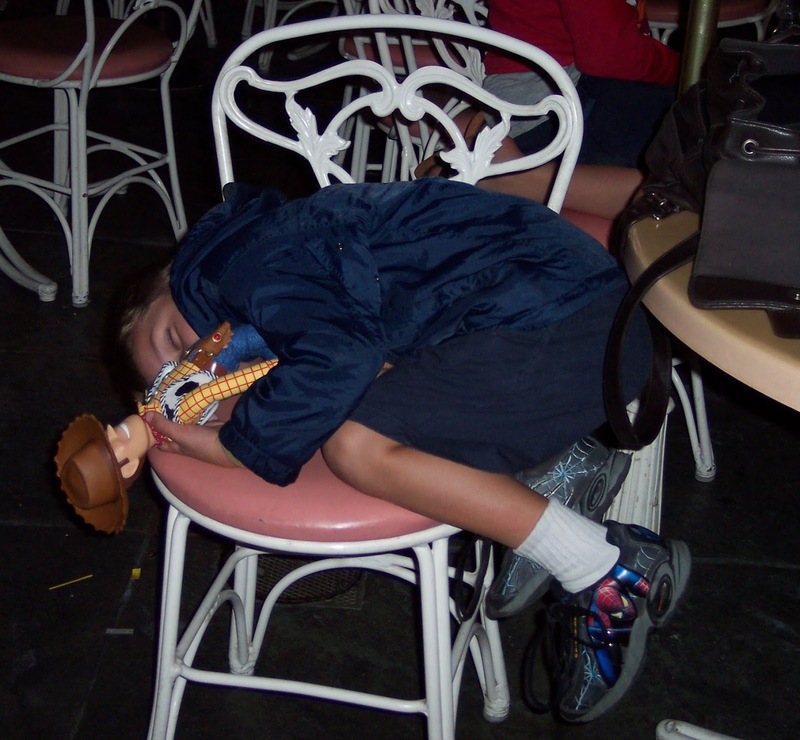 Buzz even left a physical imprint on our family, or at least on one. The story has been told & retold so many times, it’s hard for me to remember what are actual memories and what "memories" I’ve created from hearing it over & over. What I do know is that at the time we still had three kids, and they were playing in the bedroom that the boys shared. Suddenly from the top bunk, we heard James exclaim, “He can fly!”. What we heard immediately after that were a bunch of different sounds that included a thud, clattering plastic and wailing. What we saw was gushing blood streaming down Morgan’s face. Buzz had “flown” straight into her forehead and his mark is still visible 16 years later. 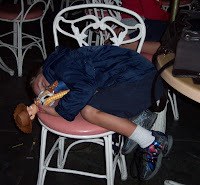 Just as Buzz & Woody were following Andy into Pizza Planet, I looked over at Sam who had drifted off into growing mode. (Teenaged boys can be like babies the way they eat, sleep & grow.) For a short moment, I was somewhere between "single teardrop" and "ugly cry". I took a deep breath and watched the rest of the movie, reciting much of it in my head as it played. Sometimes I wish I had kept the toys, but I know the clutter of what would never really get used anyhow doesn’t equal the memories they hold. I do wish I had a family portrait of sorts with them all. Not the Toy Story toys, but our Toy Story toys. The cliche exists because it’s true: “They grow so fast.” I don’t reminisce and then wish they were still little. I don’t miss the bickering, the laundry (oh, the laundry! ), stepping on Legos or the physical exhaustion from having young ones. I like my kids and who they have become as well as the adult relationships we continue to build. Every once in a while though, the full release of sentiment washes over and through me, and I just need to feel the feelings of what is no longer.